An innocent face with a moustache, curly hair on the top but completely trimmed on the sides, lips sprouting a coy smile reflecting the inner shyness. This picture remained adrift in my eyes for a long time. My world had changed after my father told me that I was getting married with you. I was happy in spite of the fact that I would be leaving my parents home. Those feelings titillate me even now. I wish I could relive that moment again. How delicate I was when your first touch created ripples under my skin. How secured and protected I felt when you embraced me for the first time. How mesmerised I was when on the fourth day you softly held my hand and whispered in my ears, “I love you.” How contented I was with the utmost pleasure of womanhood when your reflection started taking shape inside my womb, but you were not there to share the pleasure with me. I wish you had been there with me. I know you never lied, not when you said you love me, not when you said you love your country more. I know you never made false promises, not when you gifted me that expensive gold ring, not when you woke up in the night and travelled twenty kilometres by a bicycle to bring my parents because I had cried in the night remembering them. But what had happened to you when you left? Why did you lie? Why did you make a false promise? Oh, sorry, you didn’t lie, your promise was authentic. You had said you would return, you never said how. You returned on the shoulder of your colleagues, wrapped in tricolour. Yes! You never made false promises. Yes! You never did. An innocent face, long curly hair, tiny lips making bubbles. I look at him for long hours. He is like you, very much like you. Whenever I touch him, I get a strange feeling of touching you. I wish, Yes, I wish I could touch you as well. I wish. Saddened by the recent killing of soldiers at the front, this post is dedicated to all those families who have suffered losses. The nation salutes to your sacrifice. Superb! I liked this very much. It's high time some one empathised with the families of the soldiers in this manner. I share your feelings of respect to the Indian Army. heart warming post it was . . beautifully penned too . . hats off to the lives of soldiers who defend our country ! A beautiful, well-written story that tugs at your heartstrings. So often the soldiers who sacrifice themselves for their country are not spared any thought by the very countrymen they died protecting. A fitting tribute to the bravehearts and their families. 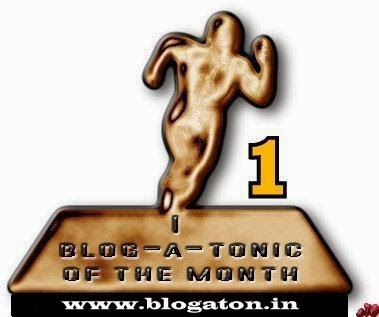 I hereby nominate your blog for the Liebster Blog Award. Come to my site, you know what to do... to collect your award :-) Congratulations..! This is lovely and very well written. We may sometimes take for granted the many liberties we enjoy today but the sacrifices of these soldiers will never be taken for granted. They will remain heroes to everyone. Insurance - "Haan Karna hai" But When??? Which type of Insurance should I Buy?